Oh that blue den again. 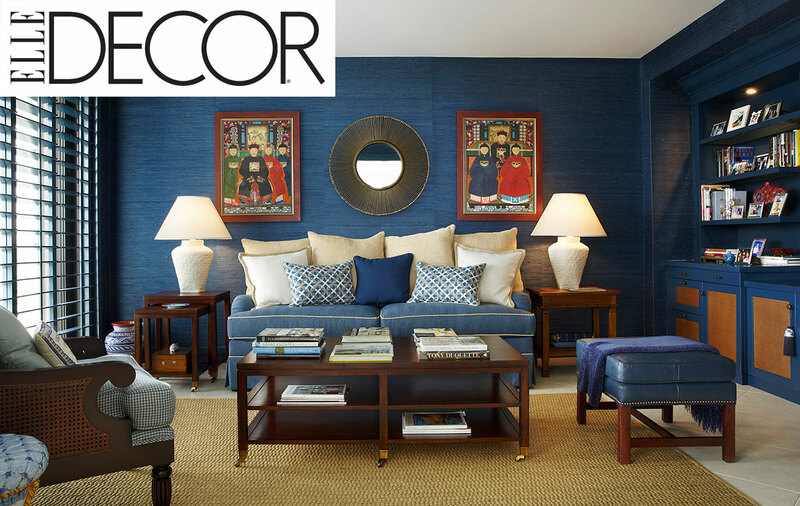 The blue den from the Palm Beach Apartment project has been chosen by Elle Decor for an article named, 30 Vibrant Room Colors To Brighten Up Your Home. We are thrilled to be included in such an exclusive luxury magazine. Elle Decor is the ultimate guide to decorating and design and an indispensable source for anyone who wants to create a more beautiful life. We couldn’t be more excited to have our project chose by such an exclusive magazine. We can only hope the photos help inspire others.